Creative design agency Tucano has seen 75% growth and significant success since receiving a £5k loan from Business Finance Solutions (BFS) www.business-finance-solutions.org.uk the North West delivery partner of the government’s national £150m Start Up Loans programme. Based in Hyde, Cheshire and owned by Daniel Godfrey and Patricia Lopes, Tucano http://wearetucano.co.uk focuses on print and digital graphic design, photography, web, online design and artistic services for SME and start up businesses. Tucano has have invested their Start Up Loan in new equipment which has expanded their capabilities, with photographic services becoming a bigger part of their client brand development package alongside design and web work. Since launching earlier this year the agency has already secured over 25 clients which include designer handbags KeriKit, artist Kris Kupskay, Manchester Tiki Bar The Liar’s Club, organic soap and candle company Olive & Bloom, Trio Clothing, film producer Anattic and thetattooshop.co.uk, one of the UK’s leading distributor of tattoo supplies. Daniel Godfrey said: “Having worked in agencies ourselves we are very aware of how much it takes to run a big firm and those overheads inevitably have to be passed on to the clients. What we wanted to offer with Tucano was an expert, flexible and competitively priced creative service that works closely with clients to find the very best creative solution for them. 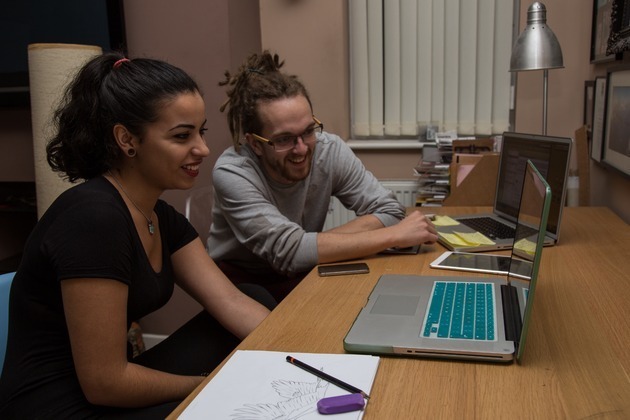 BFS offered the funding and the support we needed and with their help we have been able to do develop further services, enabling clients to get everything they need under one roof, with two passionate creative and at an affordable price. BFS, which is supported by the Greater Manchester Combined Authority, will see £15 million allocated to new start-ups across the North West over the next two years, creating around 3000 new businesses and over 5000 new jobs in the region. With more than £7million lent to date, over 1200 BFS Start Up Loan recipients in the North West are now running their own businesses, creating employment and economic opportunities across Greater Manchester, Lancashire, Merseyside, Cheshire and Cumbria. Start Up Loans are available to everyone over the age of 18 in the North West. Business Finance Solutions (BFS) is a leading alternative business finance provider in Greater Manchester and the wider North West. Based in Manchester City Centre we pride ourselves on closing the ‘finance gap’ to ensure that businesses have access to the finance they need through a wide range of products and embedded business support. BFS is part of the Manchester Growth Company and was established in 2002 with a brief to provide a professional and service focused alternative business finance options for businesses that have been unable to obtain funding through a mainstream lender. Over the years they have grown and developed the finance offering and now provide a range of business finance solutions including Start Up Loans, The North West Fund for Micro Loan, business growth loans and also deliver the Greater Manchester Export Fund. Outside of the North West BFS is a national back office provider for the Start Up Loans Scheme. The finance offering ranges from £500 through to £500k and the terms range from 1 to 7 years. To date we have lent over £70m to businesses across the UK and supported over 10,000 businesses. The Manchester Growth Company has been established to support the growth and prosperity of Greater Manchester through the provision of services that will raise Manchester’s profile, attract investment, help generate new businesses, support existing businesses to grow, and provide individuals with new skills and employment opportunities. The Manchester Growth Company is a trading name of Economic Solutions Ltd.